CFPB Orders the Discharge and Refund of Institutional Student Loans for Misrepresentations of the Costs of the Loans – WOW! I don’t think we have any Florida clients from these schools, but I hope this is a sign of what we can expect going forward for other for-profit schools (read ITT and IADT among others here) that misrepresent the costs of education. Funny, I am evaluating this issue right now against ITT in order to raise this as one of MANY allegations of state law violations in a Defense for Repayment for federal loans under the new regs out on November 1, 2016. ITT allegedly had this little trick where they would issue Temporary Credits to cover tuition gaps at zero percent interest, but fail to tell its students that they had to be repaid in nine months with very expensive private student loans at 13-16% interest plus a 10% origination fee. This data comes from a CFPB complaint that is pending before a federal court now. Then when students couldn’t come with the money, they would be threatened with expulsion unless they agreed to these high interest, high cost private loans. Anyway, here the results posted by the CFPB today! In this case, the CFBP found that Bridgepoint convinced students to take out private loans by falsely assuring them that the loans could be paid back with a lower repayment amount than was possible. Today the CFPB ordered Bridgepoint Education Inc. (owner of Ashford University and University of the Rockies) to discharge all its outstanding institutional loans to students and refund loan payments already made, based on findings that the school misrepresented the cost of the loans to students. Total student relief will be about $23.5 million, and there are also injunctive-type terms and an $8 million penalty. Below is NCLC’s press release. We are actively soliciting ITT clients right now! 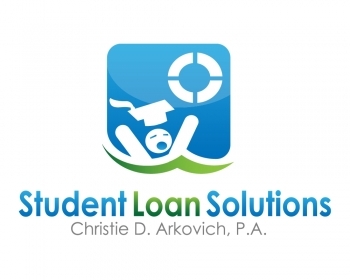 Please contact us if you are a former student of ITT as we may be able to help obtain a discharge of your federal student loans starting November 1 with a new program called Defense to Repayment. It’s important to hire an attorney to file the application because specific allegations should be made along with proving these allegations amount to violations of certain state laws. Just saying something like you couldn’t get a job as they verbally promised won’t be anywhere close to what is needed. For more information, please see our website and contact us for a free consultation at Christie D. Arkovich, P.A.